After a busy festive season, it’s full speed ahead at AfriCamps. 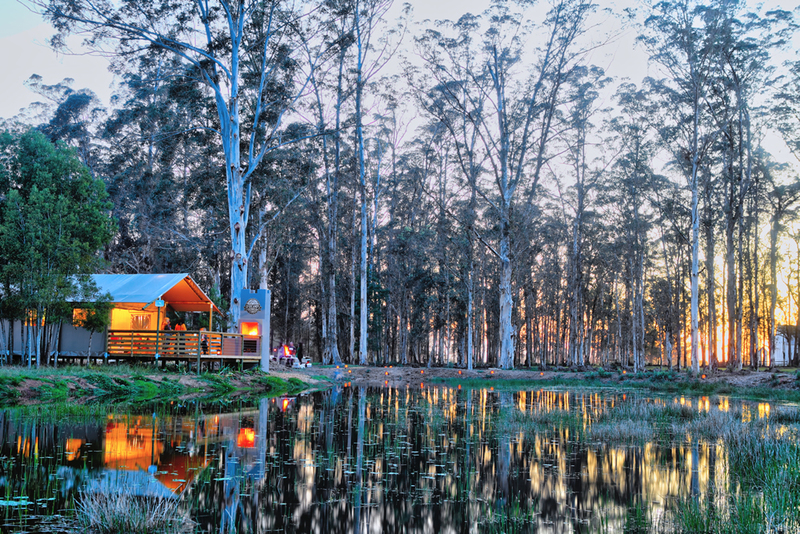 But first, let’s take a quick look back at 2018 and the newest destinations on your glamping bucket list! 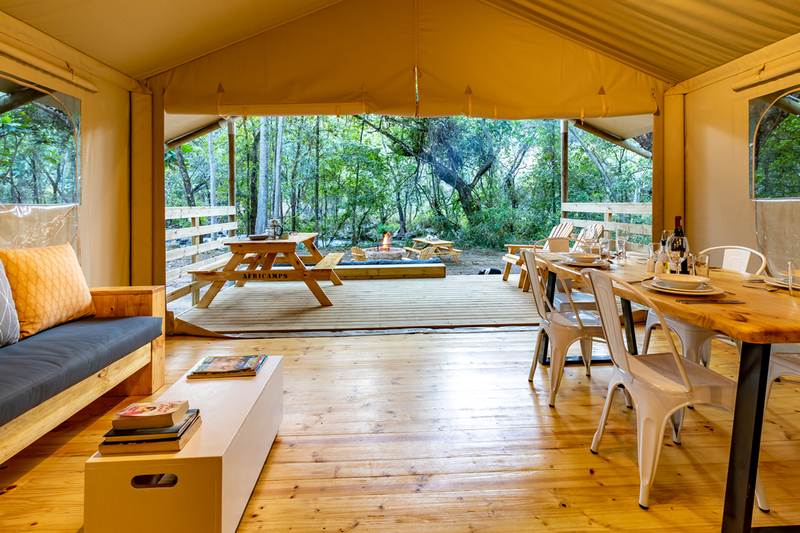 (For those of you new to AfriCamps, check out all eight of our luxury tented camps and pick your first destination.) 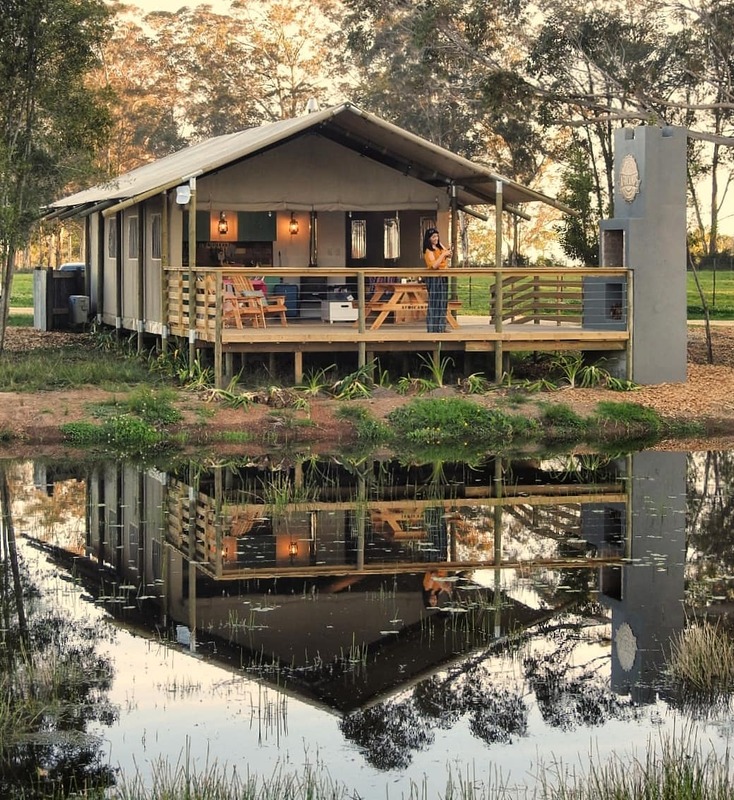 We opened 3 new AfriCamps in 2018, each offering a totally unique South African experience – from the Winelands to the Garden Route to the bush! Hello Cape Winelands! 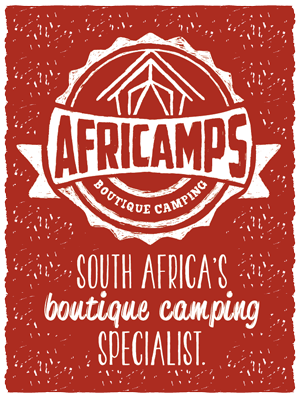 Our newest glamping location, AfriCamps at Doolhof, is based in the charming wine loving town of Wellington. Located beneath the historic Bainskloof Pass at the foothills of the Groenberg Mountain Range, AfriCamps at Doolhof is set within the award-winning Doolhof Wine Estate. This is also our closest location to Cape Town and can be reached in less than an hour. Hello to spontaneous weekends away with friends and family! Check availability and book now. 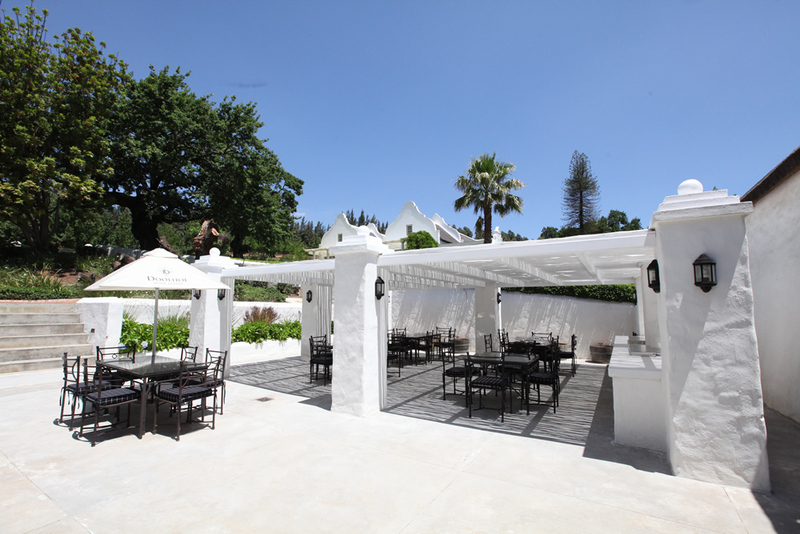 Doolhof’s on-site Tasting Room is ideal for a flavoursome wine tasting paired with a platter or a delicious lunch. You can pre-order a picnic and explore the trails on the farm or take a sumptuous platter to enjoy at your tent. The ultimate form of relaxation! 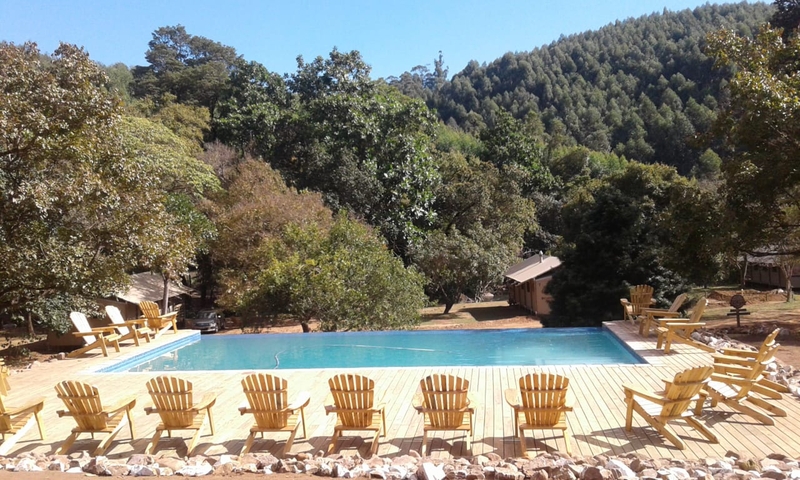 Soak up the beautiful mountain views or have fun with the kids. Hot tubs are included in your rate! Enjoy a spa treatment from the comfort of your tent. How does a mountain view pedicure sound? Make your booking from your host a day in advance. Based between the mountains, the Kromme river and the vineyards, Doolhof is the perfect hiking spot. 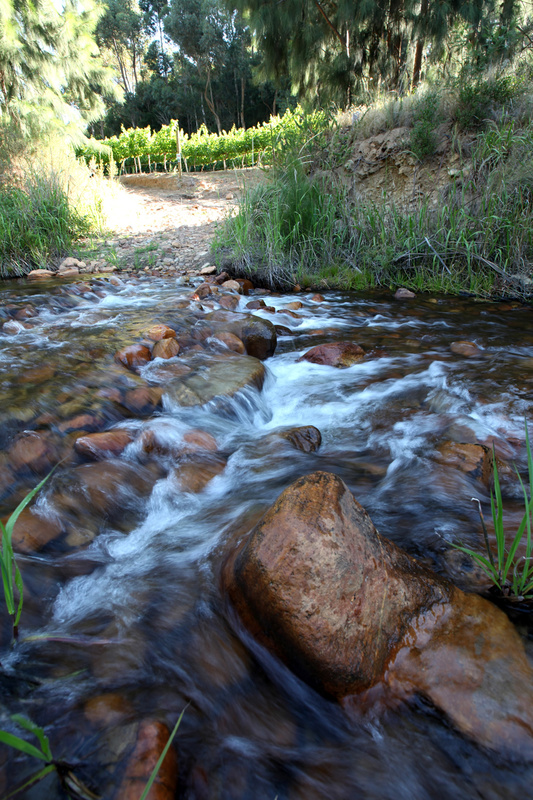 Take the 5km vineyard hike or shorter river walk, perfect for all ages. Try to spot buck, porcupine, baboons and even a shy leopard. Hike off the property at Limietberg Nature Reserve on Bain’s Kloof Pass where you can explore rock pools on hot summer days. 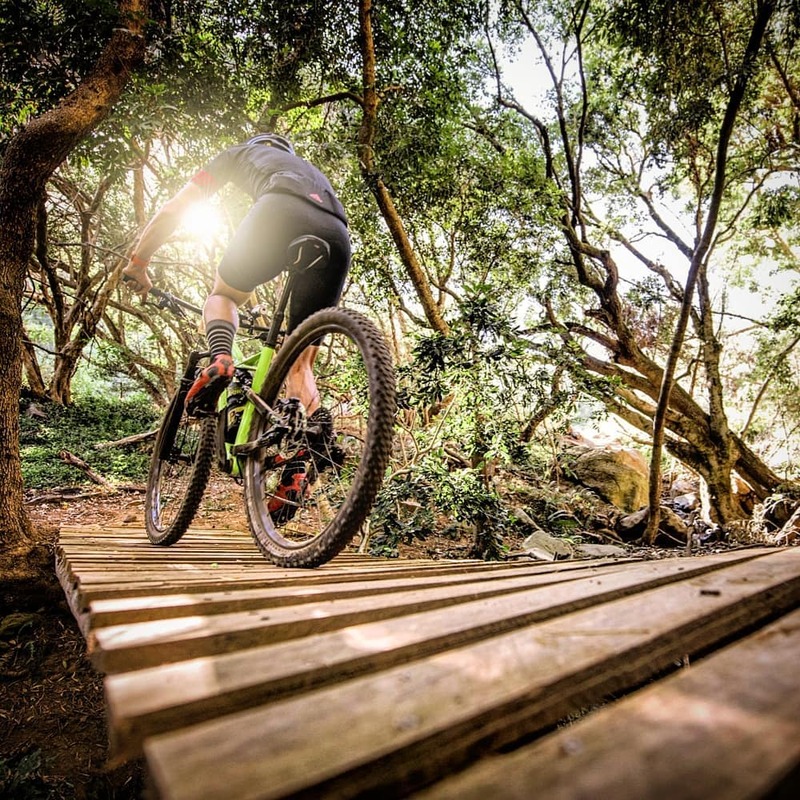 Wellington is one of the Cape’s best-known MTB locations. Bring your bike or rent one on the property and explore trails that have been traversed in the world famous MTB race, the Cape Epic. Oakhurst in Wilderness is one of the few remaining large working farms along the Garden Route. Once you see this property, you will know why we simply had to set up camp! 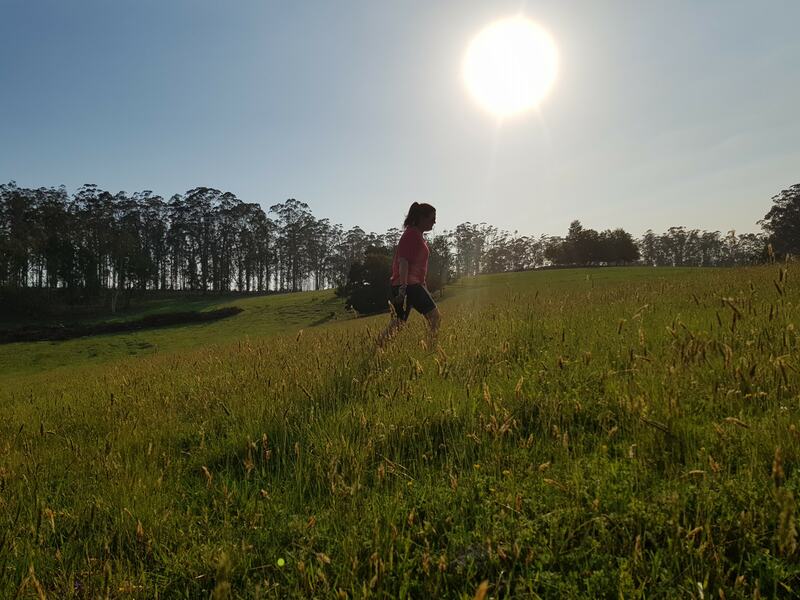 The massive 640-hectare farm is covered in bluegum trees, farm dams, indigenous forest and authentic farm activities. The eight new AfriCamps tents face rolling green fields and the Outeniqua mountains in the distance. 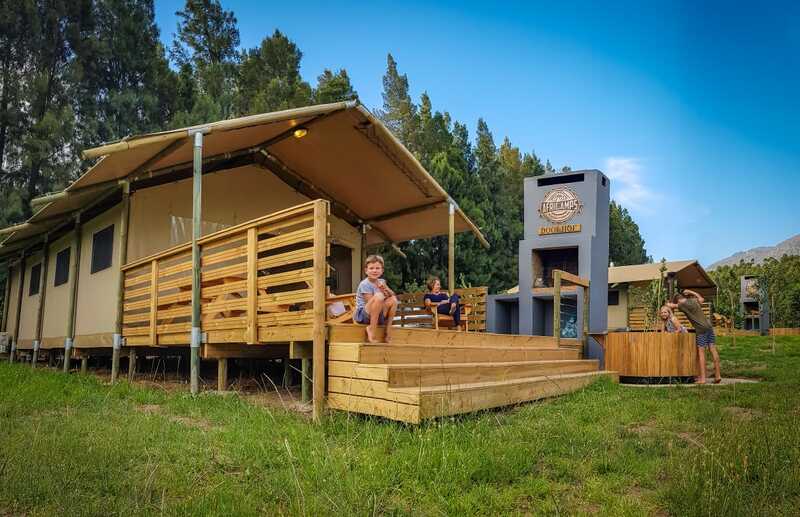 The Garden Route is an old favourite and glamping at AfriCamps at Oakhurst is an exciting new way of exploring it. Check availability and book now. Soak up the views of the Outeniqua mountains. 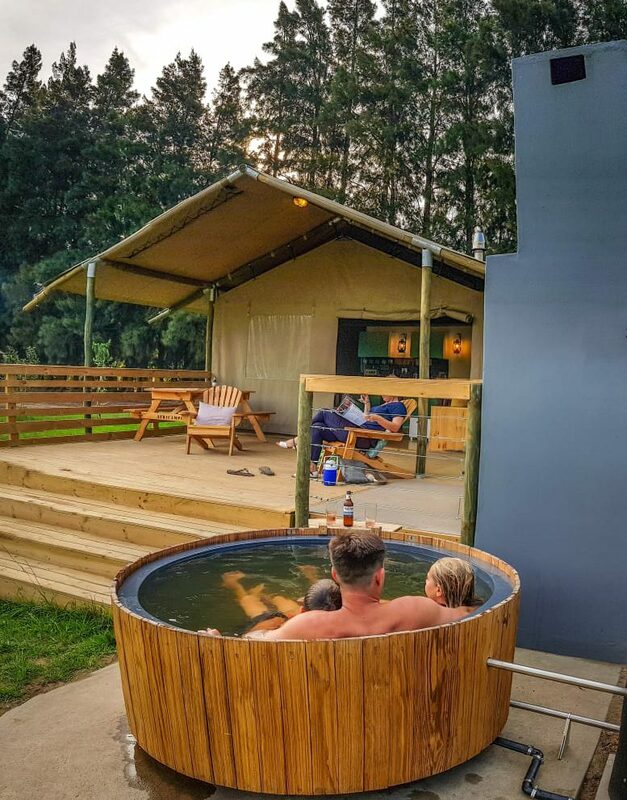 Each tent has its own outdoor wood-fired hot tub for you to use included in the rate. 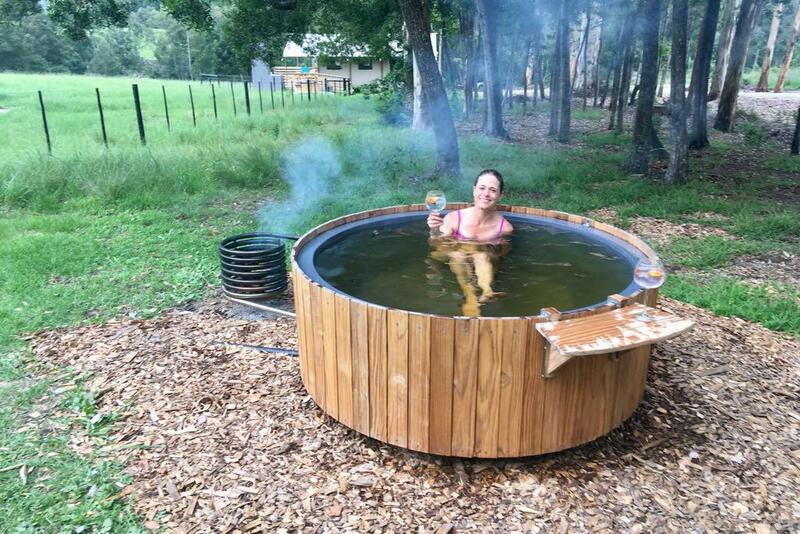 Our new AfriCamps hot tubs are perfect for hot summer days (use it as a splash pool) or cold starry evenings (simply start the fire in the coil). From 10-minute rides for kids to 2-hour rides for advanced riders. 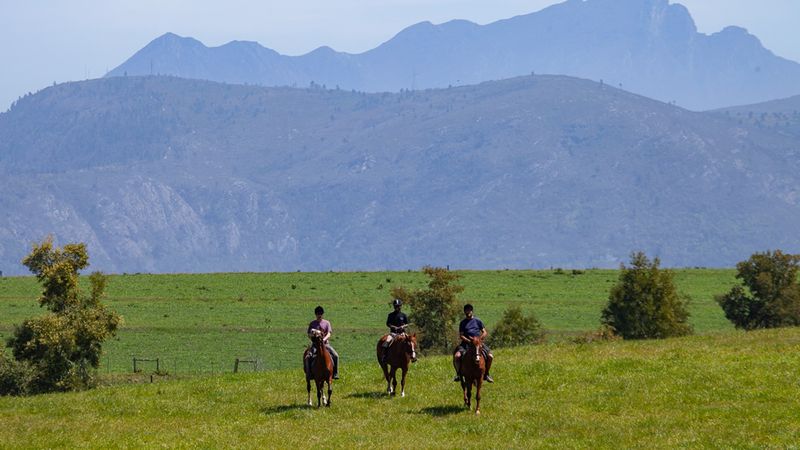 Come explore the Garden Route on horseback. 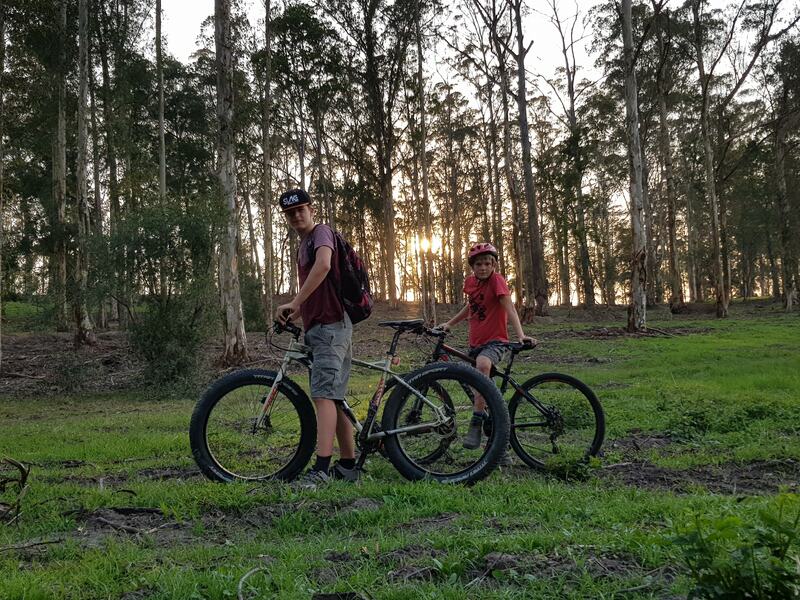 Oakhurst offers 16 km of pristine forest single track where mountain bikers, trails runners and kids can explore. Oakhurst also has its very own pipe track on the property. A lovely 5km hiking trail down to the Klein Keurbooms river leads to the farm’s spectacular waterfall. There are three dams on the farm of which two are fit for swimming, catch-and-release fishing and canoeing. Guests are welcome to use the farm canoes. Oars are available from reception. Watch the cows being milked and fed in the mornings and afternoons. 800 cows are milked at Oakhurst twice every day. The milk produced from Oakhurst’s farm is sent to Parmalat to create SA’s favourite milkshake, the Steri Stumpie (among other delicious dairy products). After being based in the Western Cape for more than three years, it was time to spread our wings and branch out to the beautiful South African Lowveld. 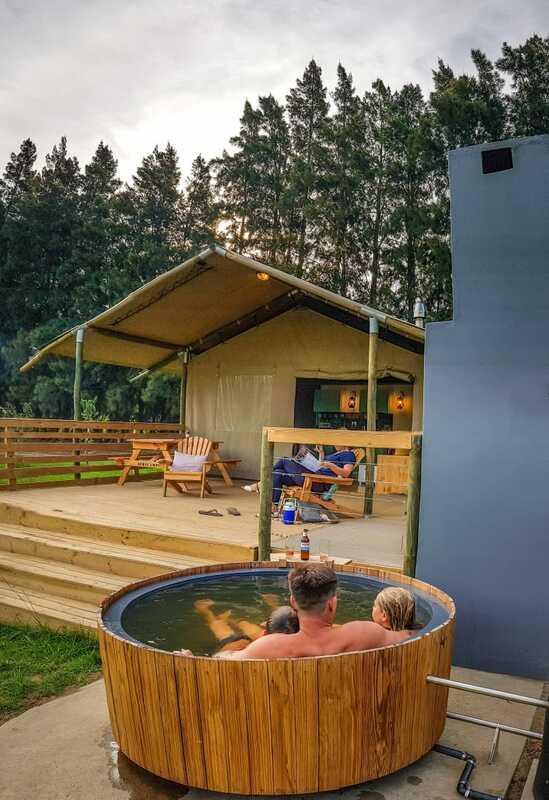 So, in July 2018, AfriCamps at Mackers opened on the banks of the Sabie River just outside Hazyview in Mpumalanga. 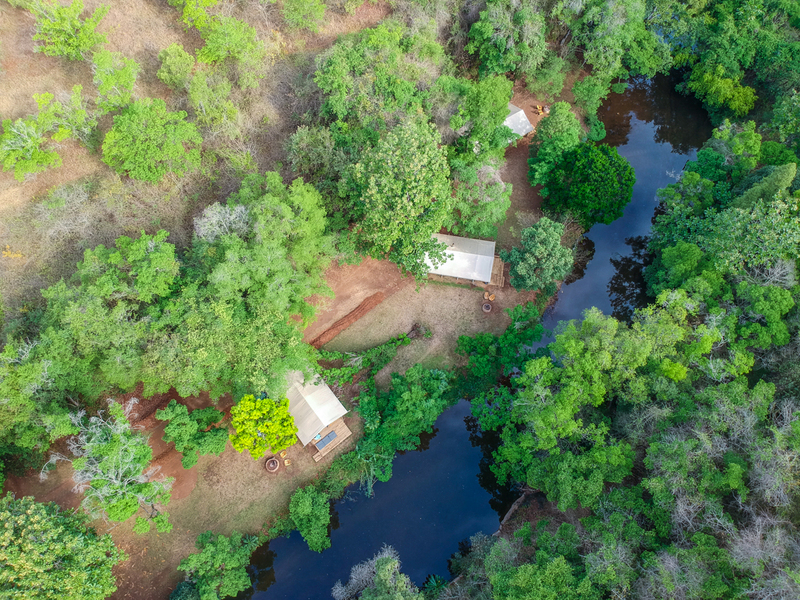 All 10 AfriCamps tents are built just a few meters from the streaming river and are surrounded by the indigenous forest and birdlife of the Lowveld area. This new AfriCamps destination is a perfect start to access the Panorama route or the Kruger National Park, which are both two of the most popular tourist attractions in South Africa. Check availability and book now. Spot over 250 bird species, try your luck at fishing, go hiking or just relax to the lulling sounds of the Sabie River flowing past your tent. Spend the warm afternoons cooling off in the new AfriCamps infinity pool, or relax in one of our deck chairs. 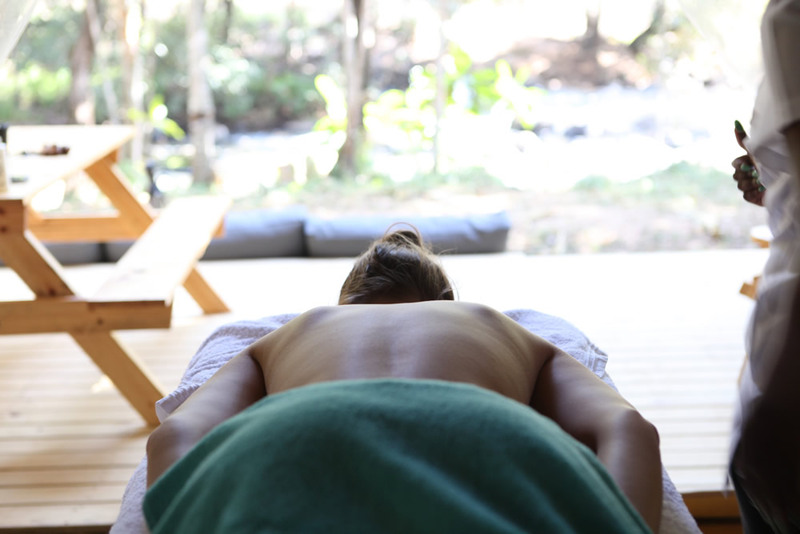 Book a relaxing spa treatment in the comfort of your tent. Book in advance with your hosts who will happily assist with rates and bookings. 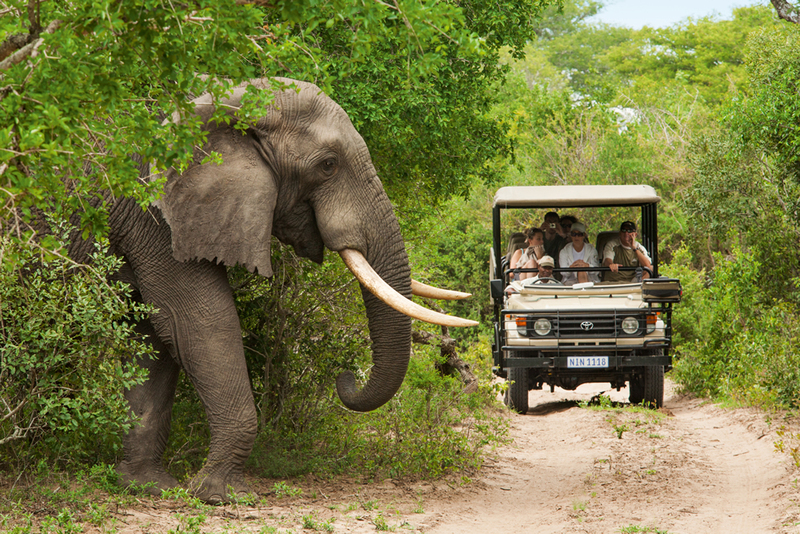 Go for a safari in the world-famous Kruger National Park! Spot the Big 5 with your highly experienced guide who has vast knowledge of the area, the animals, trees, grasses and plants. 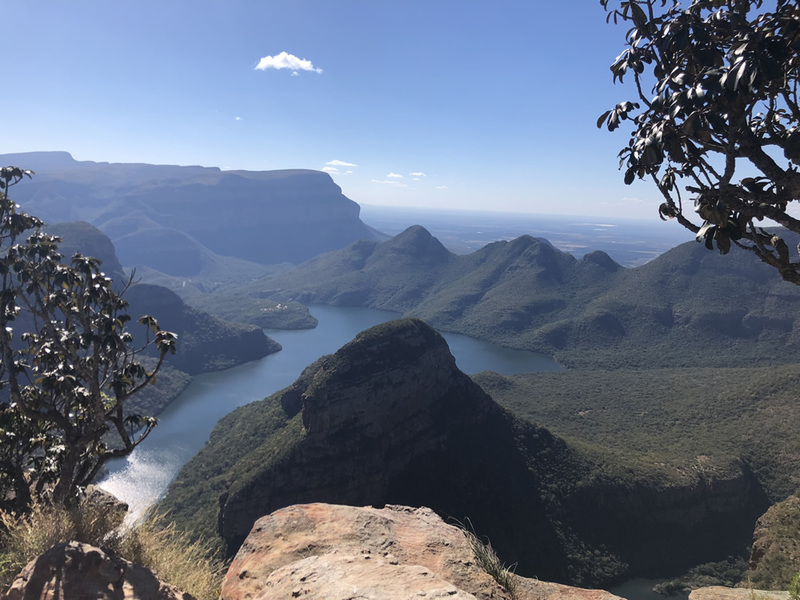 See the spectacular views of Blyde River Canyon, God’s Window, Three Rondawels and the famous Bourke’s Luck Potholes – all in one tour! Doolhof Wellington seems like the perfect escape for Capetonians. A short drive + fantastic views! Doolhof is the perfect place for long or short stay. Just back from a 3 night stay with my children. Was peaceful, loved the sound of trickling water from nearby stream. Lovely nature walks especially the river walk. Very safe. Best was the complimentary wine tasting – bought few bottles. Eager to explore the rest of the Africamp units. Safe for kids and they will love the free of long green grass between little toes. Strong WiFi connection for the not so little teenagers. Doolhof highly recommended for family, groups etc or even couples – perfect romantic breakaway!